DK Wide Mouth Spray Bottle Detail King’s all new WIDE MOUTH SPRAY BOTTLE is the perfect tool for the everyday detailer. 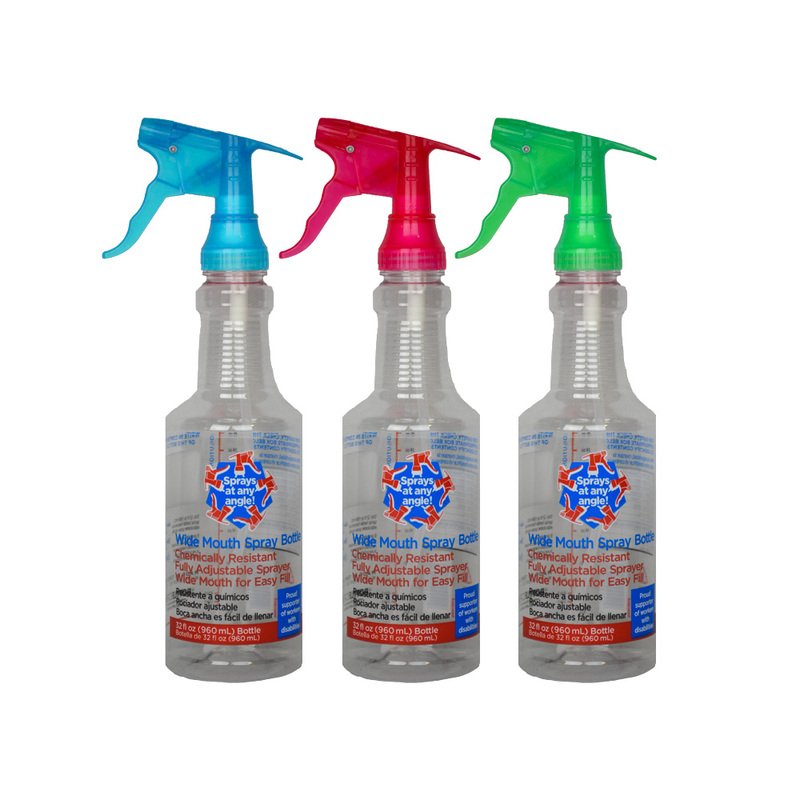 These spray bottles are available in a convenient size of 32 oz (quart). 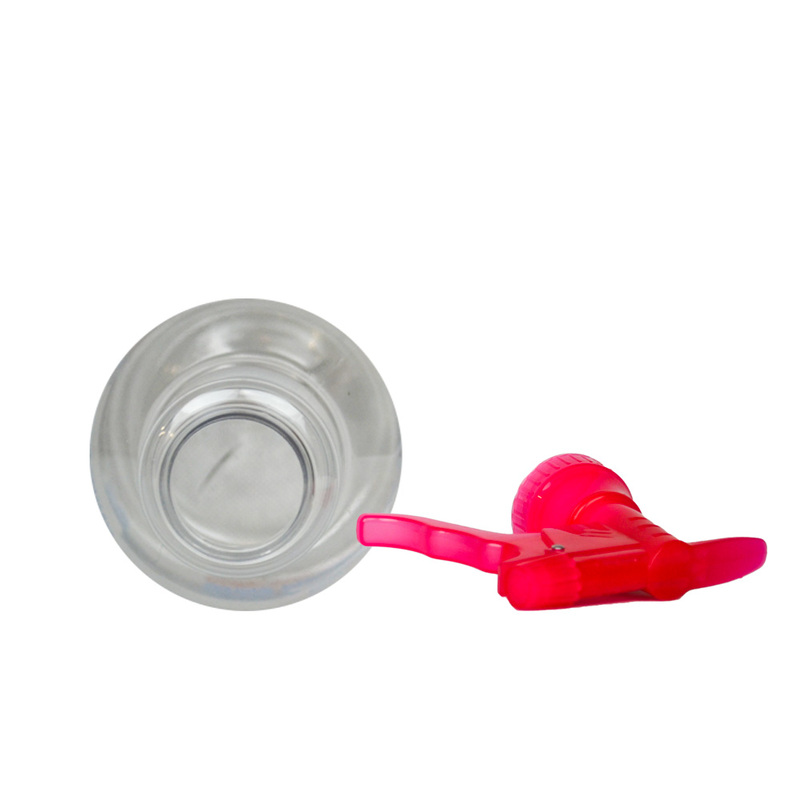 Wide Mouth- Eliminates the need for a funnel when transferring products from gallon containers. Chemical Resistant Construction- No need to worry about strong acidic products deteriorating the construction of these spray bottles. Dilution Scale- Located on the label, this convenient scale eliminates the need to guess how strong a product will be when diluting concentrated cleaners. Contents Box- Located on the label, this convenient box makes it easy to remember what’s inside of the bottle and eliminates the possibility of misusing product. 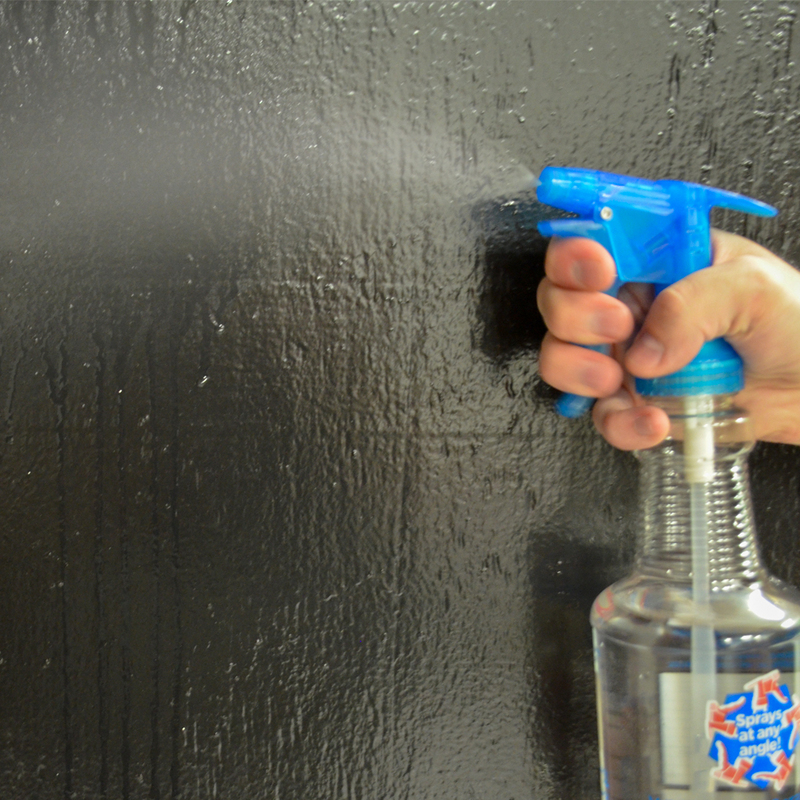 Heavy Duty Sprayer- Easily adjustable for streaming, spraying, or misting with a smooth trigger action. Sprays at Any Angle- Unique sprayer construction allows this bottle to be sprayed from any angle -- even upside down! No more fumbling around with various types of bottles filled with unidentifiable products! No more spilling products and wasting money when transferring products from different containers! 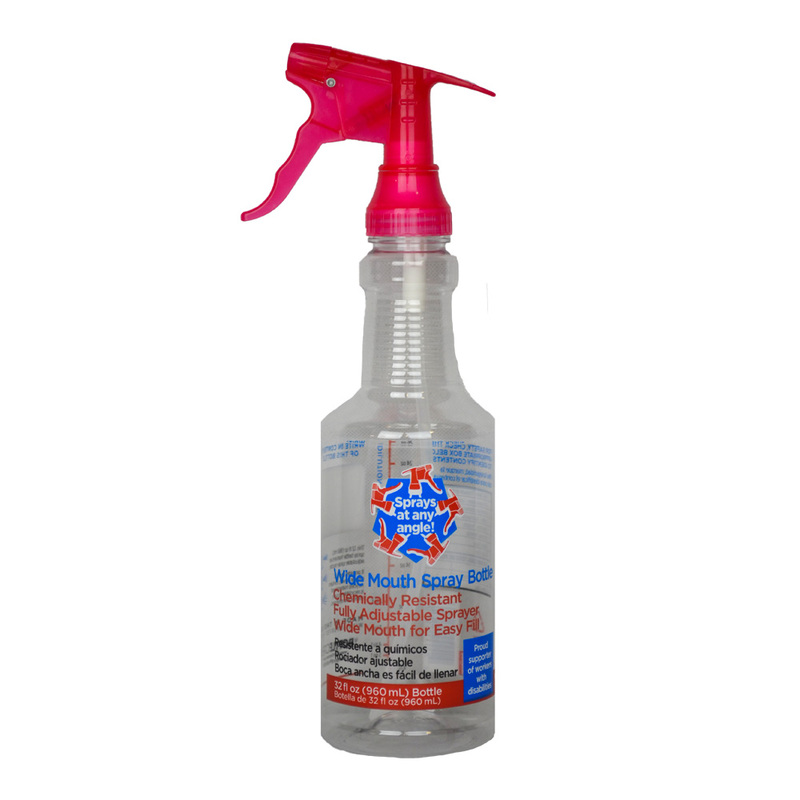 This new spray bottle is Made in the USA from Recycled Materials!